How Federal Laws About Mortgages Can Be Helpful to You? RESPA was designed to give home buyers and sellers better disclosure of settlement costs; and to elimination of kickbacks or referral fees that tend to increase unnecessarily the costs of certain settlement services. 12 U.S.C. §2607(a); 24 C.F.R. § 3500.14(b). RESPA prohibits the giving or receiving of any fee, kickback or other thing of value for the referral of a “settlement service” (defined at 12 U.S.C. § 2602(3) and 24 C.F.R. § 3500.2). 3) the referral of settlement service business. “An agreement or understanding for the referral of business incident to or part of a settlement service need not be written or verbalized but may be established by a practice, pattern or course of conduct.” 24 C.F.R. § 3500.14(e). Yield-spread premiums: A yield spread premium is a fee paid by a mortgage lender to a mortgage broker for arranging a loan with an interest rate at a higher amount than the par rate. Payment of a yield spread premium is not a per se violation of this section, but may be illegal under RESPA based on a factual inquiry into the circumstances surrounding the payment. HUD (the agency charged with interpretative, investigative and enforcement powers under RESPA) recommends a two-step inquiry to determine whether a yield spread premium is illegal. First, one determines whether the payment of the yield spread premium was for services actually performed; if it is not, then the payment is an illegal kickback. If the payment was for services actually performed, then one looks at whether the total compensation paid to the broker reasonably related to the value of the services; if the compensation does not reasonably relate to the value of the services, the payment is a violation of this section. (5), a borrower must plead what services were offered, the reasonable value of those services, and the fact that total broker compensation exceeded that value. Also, a borrower alleging a YSP-based violation of the Illinois Consumer Fraud and Deceptive Business Practices Act, or a YSP-based breach of fiduciary duty, can only do so by (also) meeting the RESPA pleading standard. There is a private right of action for violation of § 2607 (Illegal referral fee or kickback and fee splitting). Statutory damages: person charged for the settlement service can recover an amount equal to “three times the amount of any charge paid for such settlement service,” plus attorney’s fees and costs. 12 U.S.C. § 2607(d). The bottom line is that any payment by the lender to the broker is illegal if it is not for the reasonable value of services actually performed. So if you see a high up-front broker’s fee plus a yield-spread premium or other broker fee paid by the lender, there’s a good chance the lender-paid is fee is “unearned gravy” and constitutes a violation. There is a private right of action for violation of § 2605 (Servicing requirements and administration of escrow accounts). Actual damages for each failure to comply, additional damages for a pattern and practice of noncompliance, plus attorney’s fees and costs. 12 U.S.C. § 2605(f). • Unlimited as a defense to foreclosure in the nature of a recoupment or setoff. 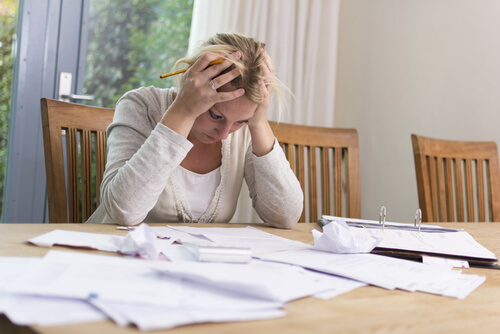 When should you consider bankruptcy?